Oh so cute and tasty! I came across this recipe in a Food and Wine magazine and just had to make these for a baby shower I catered last weekend. 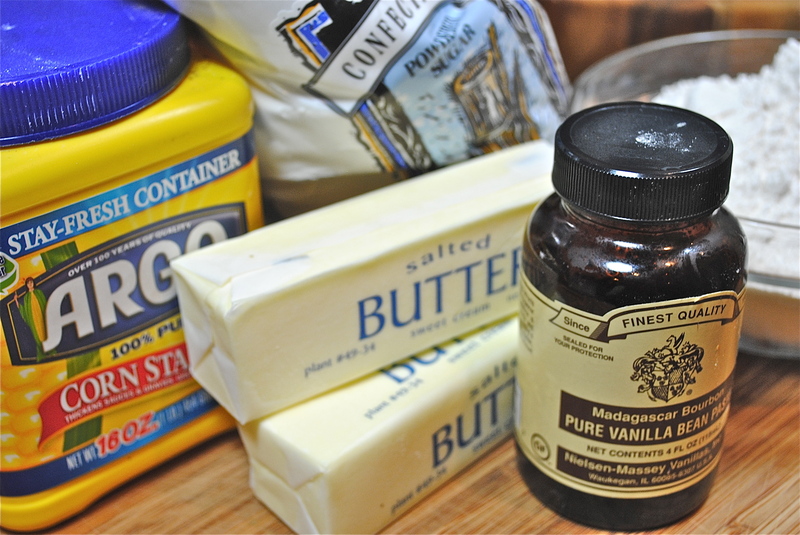 This recipe is so buttery and delicious you will not be able to resist a handful of them. Like the article said, these make nice little favors when packed in small plastic bags tied with ribbons. It’s kind of weird that I photographed these in my mother’s old button/sewing box. I remember my mother using this box to hold miscellaneous buttons and pins/needles. She kept her threads all displayed on some sort of wooden thing that she hung on the wall with little spikes. I have that and have arranged the threads in waves of color and have hung it on my bedroom wall. I have the little red sewing box tucked away in one of my dresser drawers and think of her every time I pull it out to mend something. My mother won her one and only sewing machine back in 1952 by counting dots in an advertisement in a local newspaper. I guess the person who got closest to the exact number of dots in this square won the machine. These little baby button cookies resemble the tiny covered buttons that my mother made to go on my wedding dress that she made along with sewing tiny pearls on the dress and the veil. I’m not sure what kind of memories my kids will have of me, maybe cooking, cooking, cooking. I don’t know. I just hope they are good memories and I can retain all mine and remember them as happy memories . Do you save all those extra buttons that come on your new clothes purchases. I do and they are probably stuck here and there all over the house. 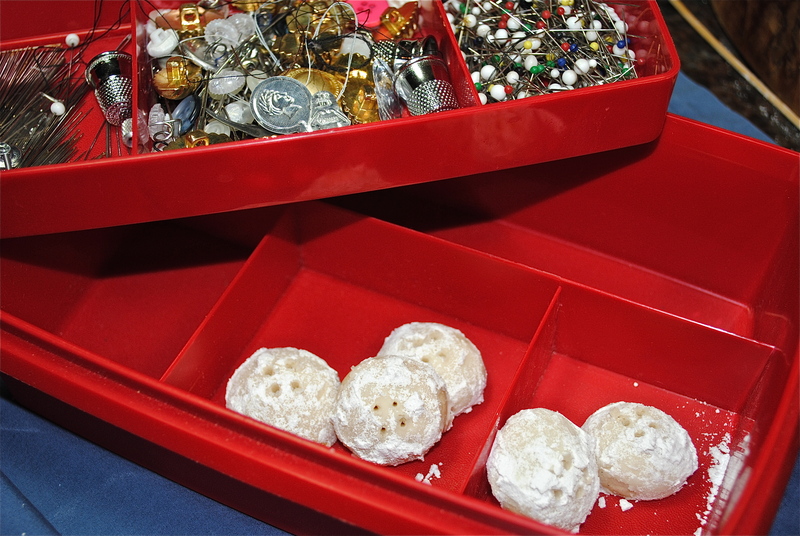 I remember my mother also having a small cookie jar where she put extra buttons. It was almost full and I’m sure you could have found a button to match anything. 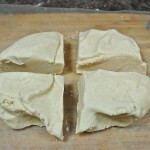 I think this is one button (recipe) you will save in a special place. 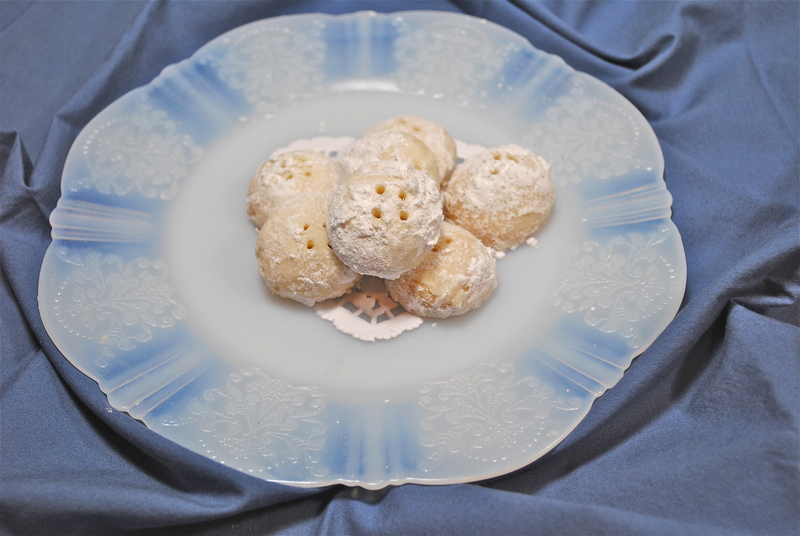 So, you can make these for a shower or your grand kids or just because you want a tiny snack. Preheat oven to 350°. 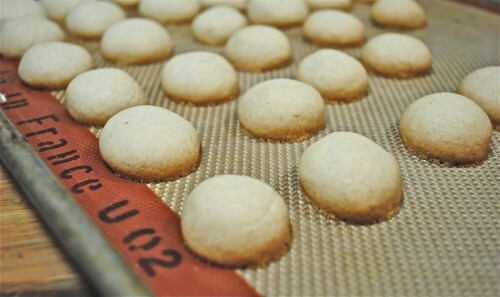 Line large baking sheet with parchment paper. 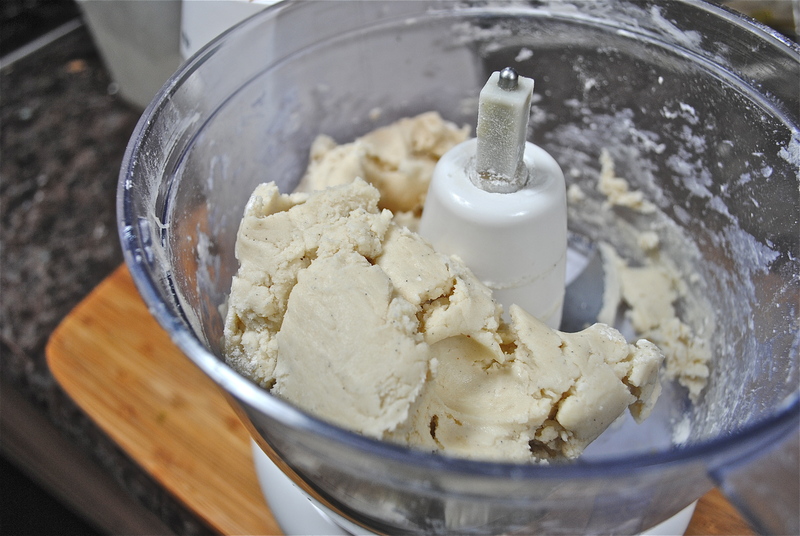 In a food processor, pulse the butter with 1/2 c. of the powder3ed sugar until combined. 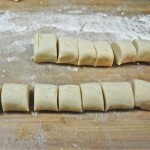 Add the cornstarch, vanilla and flour and process until a soft dough forms. 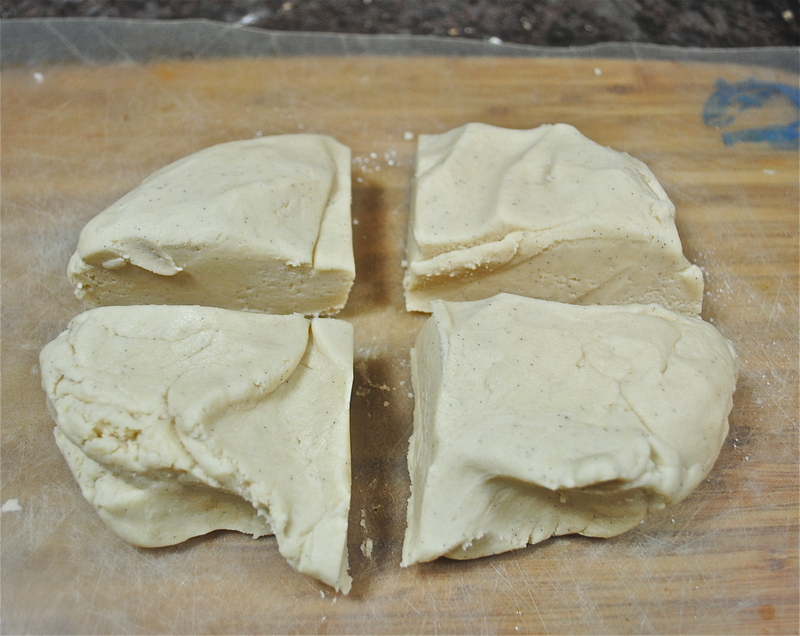 Transfer the dough to a work surface and divide it into 4 equal pieces. 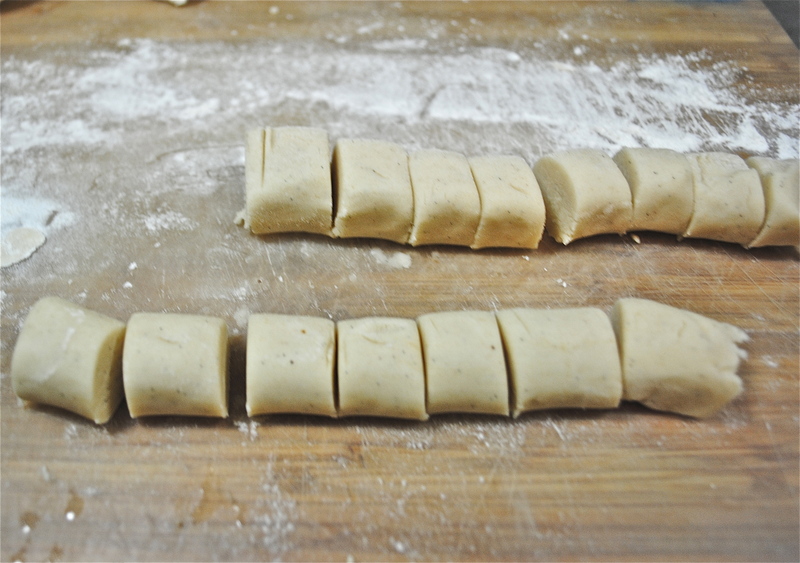 On a lightly floured work surface, roll each piece of dough into a 12″ rope. Cut each rope into 12 pieces and roll each into a ball. 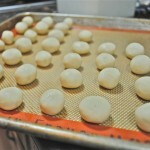 Transfer the balls to baking sheet. Bake the cookies on the center rack of the oven for about 22 minutes. Sift the remaining 1 cup of sugar into a bowl. 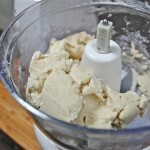 Add 12 warm cookies to the bowl at a time and toss to coat. 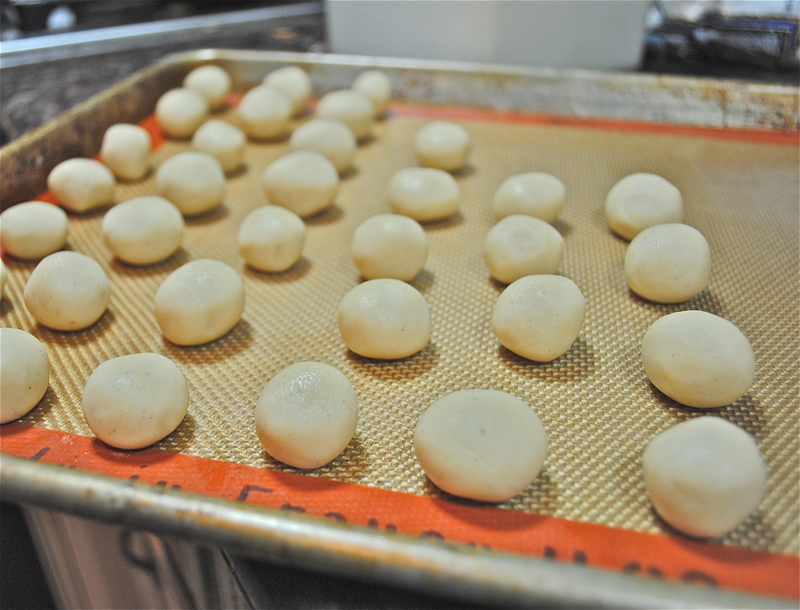 Transfer the cookies to a clean baking sheet. 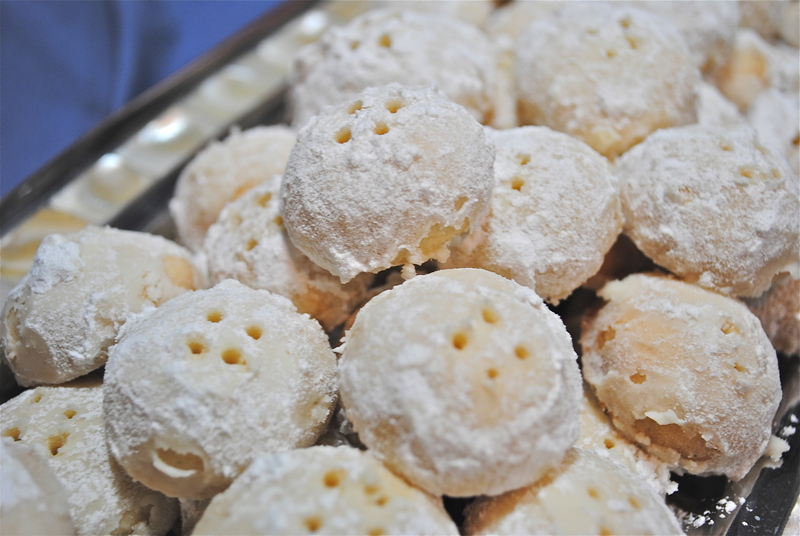 While the cookies are still warm, poke 4 shallow holes into each one of the cookies with a toothpick to make a buttonhole pattern. Let cool completely. Makes 4 dozen.